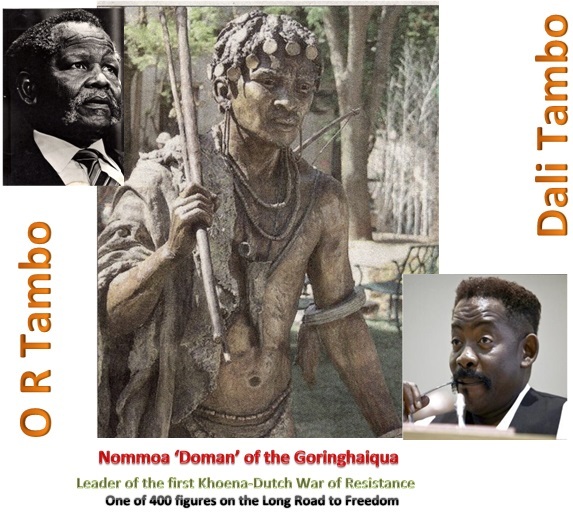 The inspiration for creating a park populated with 400 bronze statues of South Africa’s Struggle heroes was born out of a conversation TV personality Dali Tambo had with his father, Oliver, from beyond the grave. “The idea comes from a visit to my father’s grave where I was saying to him: ‘There isn’t a statue of you in this country and I’m planning to do one, what do you think?’ and from the grave he spoke to me and said: ‘Don’t do it for me, do it for all of them. Do it for all those who struggled for our democracy and our freedom,’” Tambo told Parliament’s arts and culture portfolio committee this week. This entry was posted in National Heritage Project by melletpt. Bookmark the permalink.